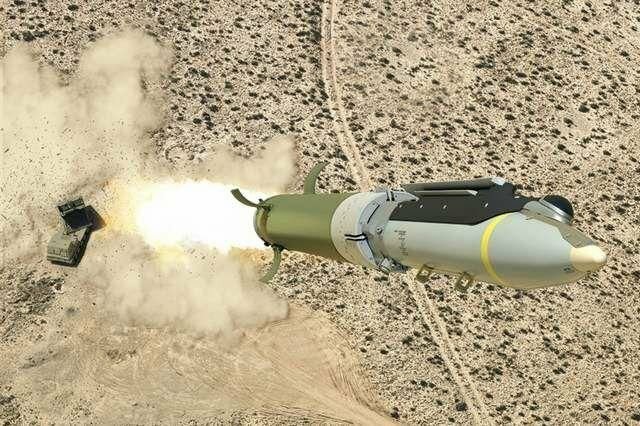 The Ground Launched Small Diameter Bomb (GLSDB) revolutionizes rocket artillery. “GLSDB combines two highly successful, combat-proven systems into an effective ground forces offensive capability,” says Beth Kluba, vice president, Boeing Weapons and Missile Systems. “Boeing and Saab bring together deep knowledge of precision weapons systems and can quickly and cost-effectively deliver GLSDB domestically and around the world”, says Beth Kluba. “Saab is proud to expand our already successful cooperation with Boeing into yet another technology area – precision weapons systems,” says Görgen Johansson, head of business area Dynamics within Saab. “Together, we now offer a new and game-changing capability for the U.S. as well as the global market”, says Görgen Johansson. The Ground Launched Small Diameter Bomb (GLSDB) revolutionizes rocket artillery. GLSDB will provide the warfighter with a long-range, precision fires weapon capable of conducting reverse slope engagements and defeating targets ranging from hardened facilities to soft-skinned assets. With 360-degree target engagement ability, GLSDB provides commanders and planners with a highly flexible weapon that complements existing ballistic trajectory weapons. GLSDB is an integration of combat proven systems, not a developmental program. It builds upon Boeing’s highly successful Small Diameter Bomb Increment I (SDB I) and existing Multiple Launch Rocket System (MLRS) rockets. The SDB I is a 250-pound (125kg) class weapon with an Advanced Anti-Jam Global Positioning System aided Inertial Navigation System, combined with a multipurpose penetrating blast-and-fragmentation warhead and a programmable electronic fuze. The result of this integration is an innovative, low risk weapon that provides significantly more capability over current MLRS rockets. congo написав: Lans ну дик. Цікаво, а як вони зупиняють обертання ракети перед від'єднанням тієї SDB? Capable of launching to an altitude and glide on a selected trajectory, the weapon complements existing ballistic trajectory weapons and provides enhanced capability over current guided MLRS rockets. However, it maintains the SDB I's flight manoeuvrability and accuracy. Ground Launched Small Diameter Bomb. Зазначається, що радіус дії 150 км.